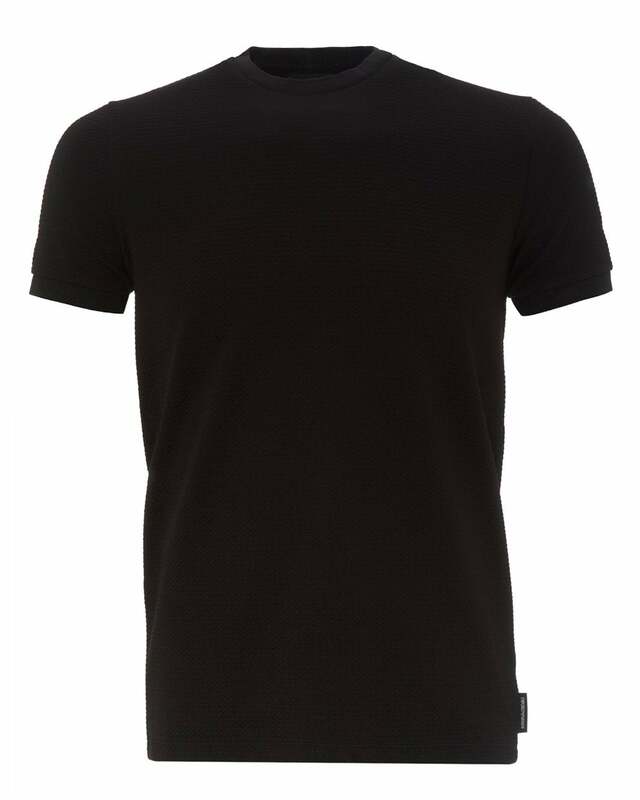 Emporio Armani delivers an outstandingly comfortable t-shirt with stretching properties. It boasts an equally cozy and striking all-over knit motif that helps it stand out from regular pieces. With ribbed neck and cuffs, this tee also features a subtle branded patch to the side seam.